Motorcycle Accidents: What Should You Do and Not Do? It only takes a split second for an accident to happen on the road. Accidents are particularly dangerous for motorcyclists who are exposed to the elements and lack the structural protection provided by cars. 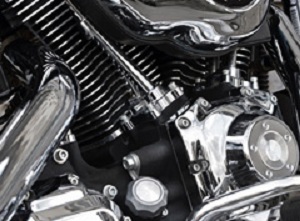 Too often, motorcycle injuries are caused by other drivers who are not consciously looking for motorcycles and cause an accident due to negligence. This is a phenomenon known as inattentional blindness; individuals fail to notice a fully-visible object. 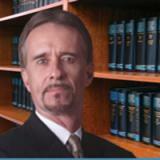 At San Antonio Legal Expert can provide advice on what should and should not be done after a motorcycle accident. Call 911. Accidents need to be investigated and medical care may be necessary. Talk to the investigating officer. Police will need to know what happened and who was involved. Be honest about the accident and provide as much information as possible. Details can be forgotten over time. Take pictures of damage and record names of witnesses. Pictures tell a better story when verbal descriptions fail. Take pictures and record names of witnesses; this will help lawyers build a stronger case. Notify your insurance company. This starts the claims process and demonstrates the driver is timely and responsible. If possible, avoid giving a statement until consulting with an attorney. See a doctor immediately. Delaying medical care can hurt your defense, and doctors will record all injuries and pain related to the accident. Keep all receipts and paperwork related to the accident and medical treatments. Speak to others at the scene about the accident. Unless it is to the police, making statements is admissible and can hurt your case. Give a statement to anyone without consulting an attorney first. It is possible to be tricked into making a statement to another party’s attorney or an adjustor. Do not make apologies. Talking too soon may cause speculation about the accident. Talk to someone representing a law firm claiming they want to represent you. Don’t trust lawyers that visit your home or the hospital. Chances are they will not represent your interests, and it is unethical. Refuse to see a medical professional or skip treatments recommended by a doctor. Pain experienced later may be associated to the accident. Avoiding medical care or skipping treatment opens up doubt on whether injury is related to the accident. Post about the accident or embellish it on social media. This can be used against a claim. It is important to call an experienced legal expert to better understand motorcycle injury laws. Protect yourself, get compensated, and call an experienced personal injury attorney today.